Kathleen Glynn, ex-wife of liberal filmmaker Michael Moore, is taking him to court for allegedly not giving her profits owed as a result of a 2014 agreement. Glynn and Moore split that year, after 23 years of marriage. 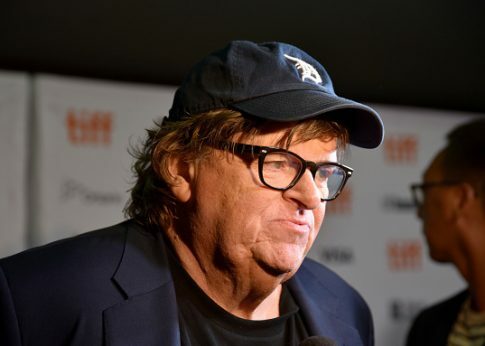 Moore's latest documentary, Fahrenheit 11/9, premiered at the Toronto Film Festival on Thursday and will be released nationwide later this month. The title is a reference both to his earlier film, Fahrenheit 9/11, and the date President Donald Trump’s election win was called in 2016. Moore has claimed his movie will take down the president. "No matter what you throw at him, it hasn’t worked," Moore said. "That all ends with this movie." The filmmaker predicted Trump’s victory in 2016, arguing on "Real Time with Bill Maher" that he could win states such as Michigan and Wisconsin. This entry was posted in Culture and tagged Michael Moore. Bookmark the permalink.